Lifestream Wheat Grass is a 100% pure certified organic wholesome green food made from the powdered leaves of young Wheat Grass plants. Green foods such as Wheat Grass are a natural food source of phytonutrients, antioxidants and chlorophyll. 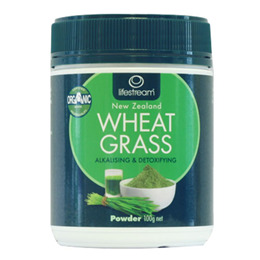 Premium certified organic wheat grass powder - 100% pure. Adults: 1 rounded teaspoon daily with food. Below are reviews of Lifestream Wheat Grass Powder - Organic - 100g by bodykind customers. If you have tried this product we'd love to hear what you think so please leave a review. 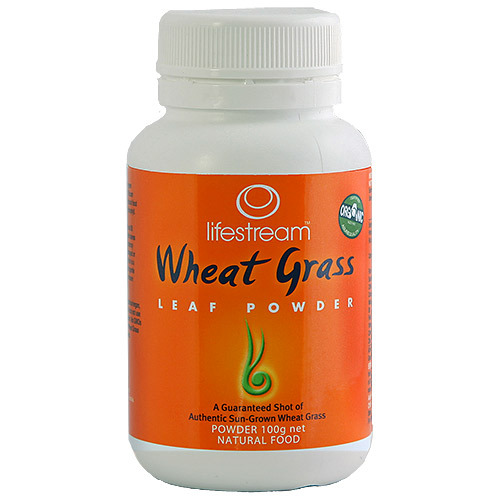 Lifestream Wheat Grass Powder is a 100% pure certified organic wholesome green food made from the powdered leaves of young Wheat Grass plants. Green foods such as Wheat Grass are a natural food source of phytonutrients, antioxidants and chlorophyll.